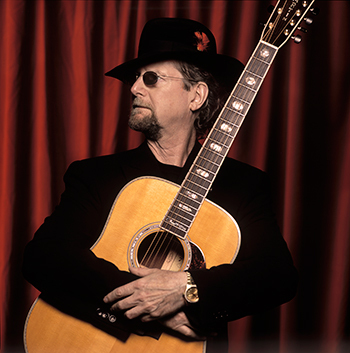 Cazenovia, NY (May 13, 2016) Cazenovia College and Live Space Entertainment proudly present an evening with influential American folk-rock legend Roger McGuinn live in concert in a rare Central New York appearance at the Catherine Cummings Theatre on Lincklaen St. in Cazenovia Saturday, May 21, at 8:00 p.m.
McGuinn, the founder of the 1960's band the Byrds will bring his unique voice and stellar guitar work to the Catherine Cummings Theater in an intimate solo show as part of his current northeast tour. Before starting the Byrds with David Crosby, Gene Clark, Chris Hillman and Michael Clarke, McGuinn was an accompanist for the Limelighters, the Chad Mitchell Trio and Bobby Darin. He was also the music director for Judy Collins’ third album. After an intervention by jazz man Miles Davis, the Byrds signed with Columbia Records to record one single, with the possibility of more if this one did well. Turned out they recorded Bob Dylan's Mr. Tambourine man (complete with Beatle beat) and it went to number one in 1965. More hits followed with "All I Really Want to Do," "Turn, Turn, Turn," (also a number one hit), "Eight Miles High," "Mr. Space Man," "So You Want to be a Rock and Roll Star," and "My Back Pages." He has co-written songs with Tom Petty and shared the stage with Bob Dylan, notably at a huge Dylan tribute show at Madison Square Garden. Saturday, May 21, 2016, Showtime: 8:00 PM; Doors 7:00 p.m.